Nothing is more suffocating than disorganization and clutter. 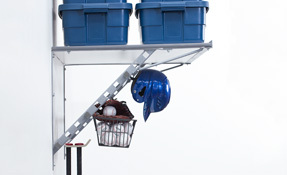 Get organized and take back control of your garage with our garage shelving in San Diego. 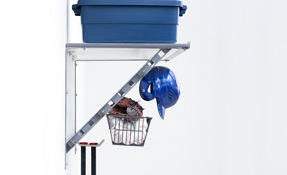 Our shelving can organize a large number of storage items in a space-saving, efficient manner. 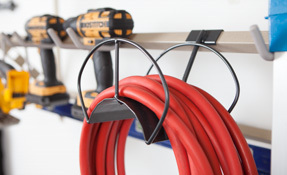 Our garage shelving in San Diego is made with industrial grade, powder-coated steel. 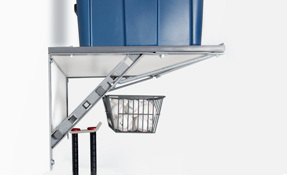 Each 4 feet of shelving is capable of supporting up to 1,000 lbs of storage items. 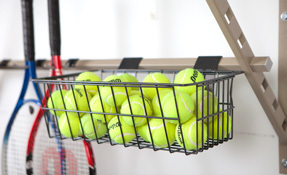 No other shelving on the market can compare. Every garage is different. That’s why we offer different sizes and types of shelving, as well as numerous accessories to help you create the perfect, custom storage plan. 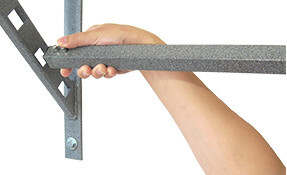 Our products are guaranteed to be durable and functional for a lifetime. 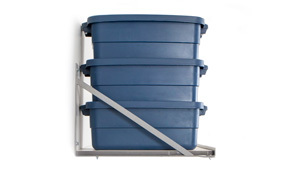 We are proud to offer a wide variety of storage systems and accessories. 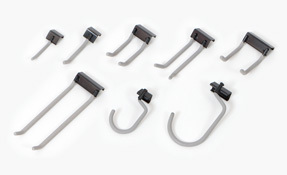 We have the right systems and accessories to meet your specific storage and organization needs. 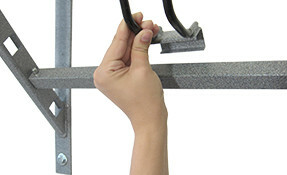 Layer Your Storage: With the use of the patented Monkey Bar and 11 different rubber-coated hooks, you can layer your storage items. You can hang bikes, yard tools and other equipment in front of and behind the bar, maximizing on a limited amount of space. 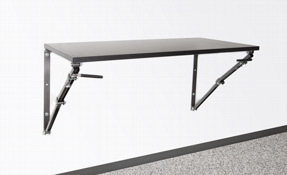 Shelving Options: We offer shelves with widths of 16″ and 24″ depending on your storage needs. We also offer shelving extensions and drop-down shelving to provide even more storage options. Drop-down shelves give you more shelf space in a limited amount of space. 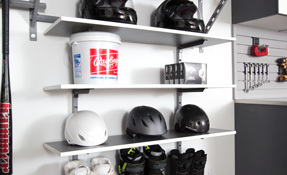 Contact us today to learn more about your personalized garage shelving in San Diego. 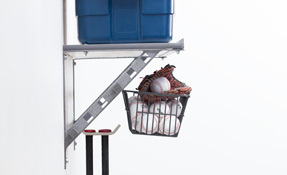 We are here to help you take back control of your garage and get organized. We are committed to offering you top quality storage systems that you can rely on. Do you need to get all those yard tools and equipment off the floor? 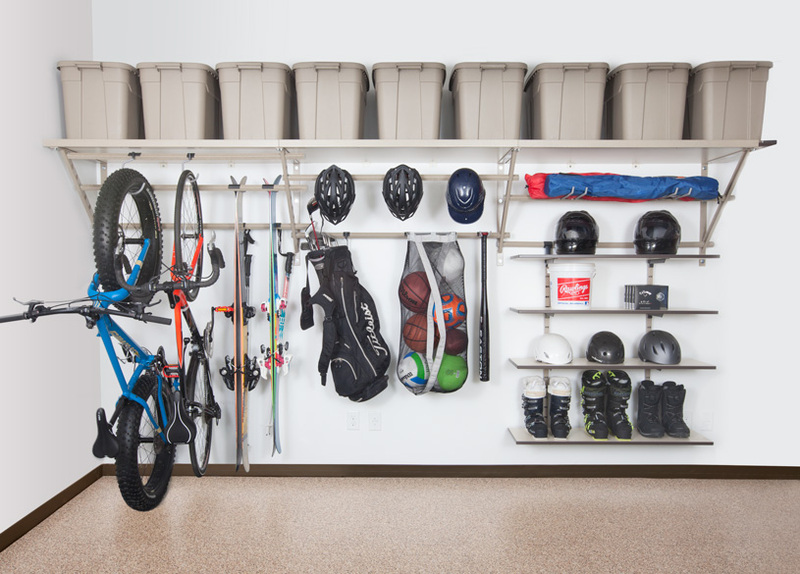 Do you need to get organized so you can finally park the car in the garage? We specialize in the above and more. Contact us today to get started today! 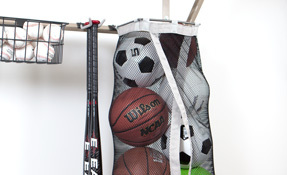 Easily Accessible: With everything stored in a visible space, you’ll be able to find everything when you need it. 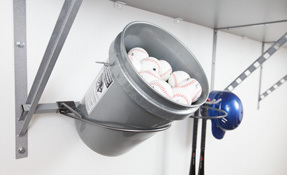 Affordable: Store everything in the space your garage provides by storing everything on one of our storage systems. You’ll eliminate the need for a monthly, pricey storage unit. Efficient System: Our garage shelving in San Diego stores everything in an efficient manner, opening up more space in your garage for other things… like a car perhaps! No matter what is in your garage, our garage shelves in San Diego will provide a proper place for all your items to be stored. Shelves 13" deep and 36" or 44" long.